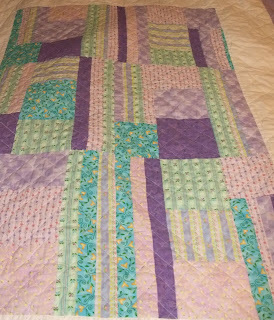 The Purples Quilt. 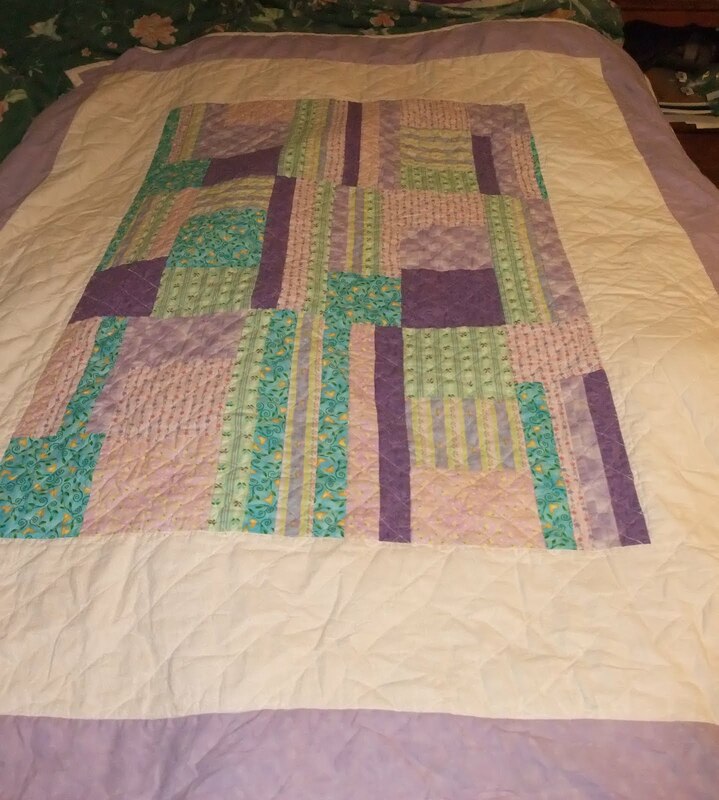 The third quilt I ever made. This one is out of a pack of fat quarters and I just kind of cut into the squares randomly and then sewed them together again. This is a lap quilt and it's completely terrible. It's also an example of more complicated quilting.